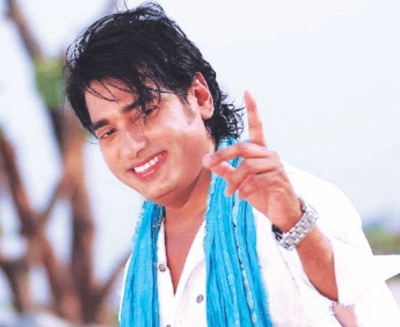 Our favourite Dhaliwood superstar Mr Jalil had been laying low since his sensational one liner questioning a youngster's nationality went viral, much to the disappointment of his avid fans. But being the true hero that he is, Jalil bhai could no longer bear to thwart the expectations of the thousands of Bangladeshis who rely on him to liven up their mundane existence. Last week, in a bold effort to make up for lost time, the superstar was seen once again venturing out to another happening joint in town, accompanied by his beloved wife and frequent co-star, the lovely Barsha. Little did he know then what disaster awaited him at this seemingly harmless, cozy little restaurant. A video footage taken by a lucky customer, present at the scene of action shows Jalil and Barsha walk past a table of youngsters (this age group does seem to attract his attention doesn't it?) when one of them upon recognising him quips, “Are you pom Gana?” perhaps hoping to get another amusing reaction out of him. They however get more than they bargained for because this time, it isn't our hero who flies into rage, it is his lady, apparently no longer the damsel in distress. Being the loyal Bengali wife she is, she not only screams in fury, she is seen marching up to the table and breaking some crockery, perhaps a plate (this is not clear in the footage and those present seemed to be suffering from post traumatic stress to remember the details). Anyway, something is smashed and as the group protests this “barbaric” behaviour, some are heard saying “Bhodro loker bebohar na,” Mr Jalil decides to take matters into his own hands. Unwise, to say the least. In the video clip that follows, Jalil is seen standing next to the table shouting inexplicably about how many languages the youth can speak in, more specifically, “How many languaze can you say to me?” (He really doesn't fail to disappoint) and something about him attending an English medium school in “Mansester,” while one of the women at the table is seen nursing her forehead, most probably for a wound she suffered from a broken piece of crockery. Taking this as his queue to make a quick exit to avoid bodily harm, the hero grabs his irate wife and runs, well, walks quickly (to be more accurate) away. According to those present, some of the angry mob followed them out but noone can report what happened next, we can hope for the best though. One may argue that the couple should have been left in peace to enjoy their pizza and others may say that fame comes with a price tag, but there is no doubt that Ananta Jalil has managed to become a media sensation once again with this latest public brawl. We eagerly await his next outing with our cameras ready for action.